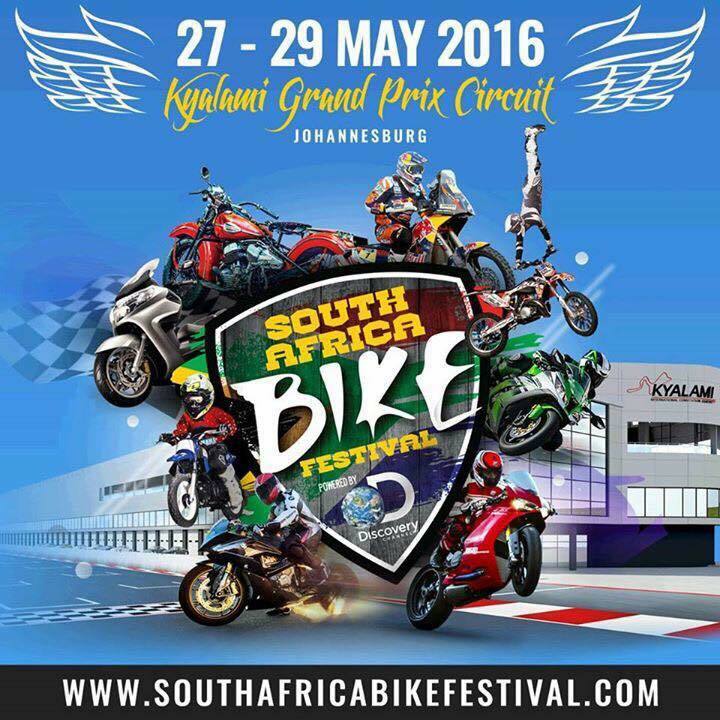 Jozi Rides is happy to announce that we will be giving away 5 double tickets to this years SA Bike Festival to be held at Kyalami from the 27th to the 29th of May 2016. The promoter is Jozi Rides however tickets are held by the PR company Butterknife. The competition is open to residents of South Africa aged 18 years or over. Closing date for entry will be 13h00 Friday May 20th 2016. After this date the no further entries to the competition will be permitted. 12. The prize is as follows: One double ticket per individual selected. There is a total of five double tickets for this competition, individual winners are only entitled to one of the five. At random by Jozi Rides verified by Promoter and or its agents. 14. The winner will be notified by DM on Facebook within 7 days of the closing date. If the winner cannot be contacted or do not claim the prize within 7 days of notification, we reserve the right to withdraw the prize from the winner and pick a replacement winner. 18. The competition and these terms and conditions will be governed by law and any disputes will be subject to the exclusive jurisdiction of the courts of South Africa. 22. This promotion is in no way sponsored, endorsed or administered by, or associated with, Facebook, Twitter or any other Social Network. You are providing your information to Jozi Rides and not to any other party.